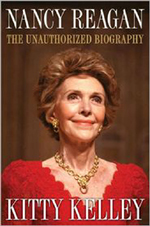 Nancy Reagan: The Unauthorized Biography has been released as an ebook by Simon & Schuster. The fastest selling biography in publishing history at the time of its release in hard cover. Read more about Nancy Reagan here and here. Available for Kindle and Nook and Apple.